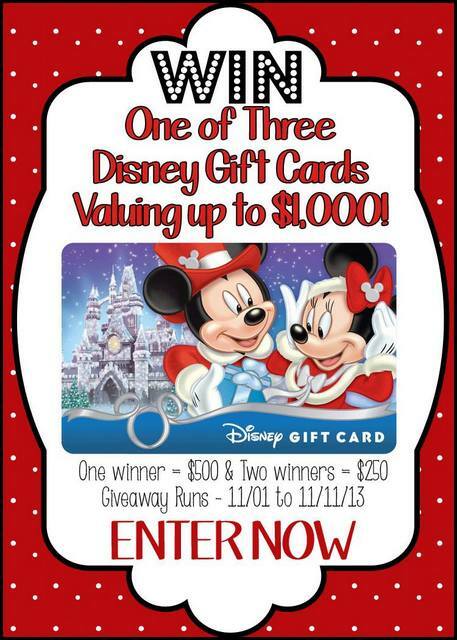 After eleven days and 289,134 entries, we have our winners in the $1,000 Disney Gift Card Giveaway! Since we were offering one (1) $500 Disney Gift Card and two (2) $250 Disney Gift Cards, that means that we have three winners! Congratulations go out to these winners, who have been selected, but need to claim their prizes before they are official winners! The winner of the $500 Disney Gift Card is Cori Shifrin of White Plains! Cori won on entry number 80,246 for liking A Disney Moms Thoughts on Facebook! Congratulations Cori! The winner of the first $250 Disney Gift Card is Troy Stepp of Vista! Troy won on entry number 63,732 for tweeting about the giveaway! Congratulations Troy! The winner of the second $250 Disney Gift Card is Lori Peugh of Arlington! Lori won on entry number 209,018 for liking My Dreams of Disney on Facebook! Congratulations Lori! I have sent each of you an email congratulating you on winning. Now, you need to claim your prize by replying to that email. It would have come from the email address mickey@mydreamsofdisney.com, and you have 24 hours from the time of the email to claim your prize. For you three, I must have a reply email by 7:45AM on Wednesday, November 13, 2013. If I have not heard back from you via that email, I will be forced to select a new winner and your prize will be awarded to another! Please don’t force me to have to do that! You may see your name announced as the winner on various Social Media websites, including Facebook, Twitter, or others, but for the purposes of claiming your prize, I must hear back from you via email. Once again, congratulations to our three winners! All of us that sponsored this great giveaway wish that you each could win, but we hope that you have learned about some new great Disney blogs, and that you’ll stick around and read our posts! It’s for all of you that we do these giveaways and write our Disney blogs. Thanks, and we’ll see you on the Internet! Hello everyone! We have had an absolutely incredible response from our Disney Gift Card Giveaway! 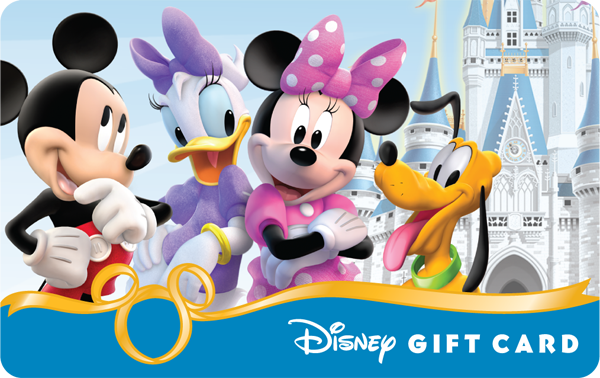 This weekend is the final weekend to get in the action to be eligible to win our $500 Disney Gift Card or one of our two $250 Disney Gift Cards! I’ve been asking people over the past couple of days what they would do with their gift card should they win, but have you been entering? If you have great, remember that there are things you can do each day to maximize your chances of winning! If you haven’t been entering, why not start right now? Even though there are a lot of entries in our giveaway, it only takes one entry to win, so all you need is Faith, Trust, and Pixie Dust my friends! After you enter, please check out these great sites, they are incredible Disney sites, and they will have a lot of content for you even after the giveaway is over!